If an opponent would move a character, you may retire this card instead. If you do, that character is not moved. 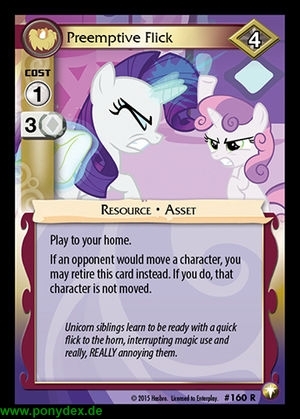 Unicorn siblings learn to be ready with a quick flick to the horn, interrupting magic use and really, REALLY annoying them.